Place one tablespoon of the fudge on the back of a long-handled spoon and smear on the inside of a tall glass. Transfer to the freezer. Beat together the cream and 2 tablespoons of fudge topping in a small bowl until thickened; set aside. 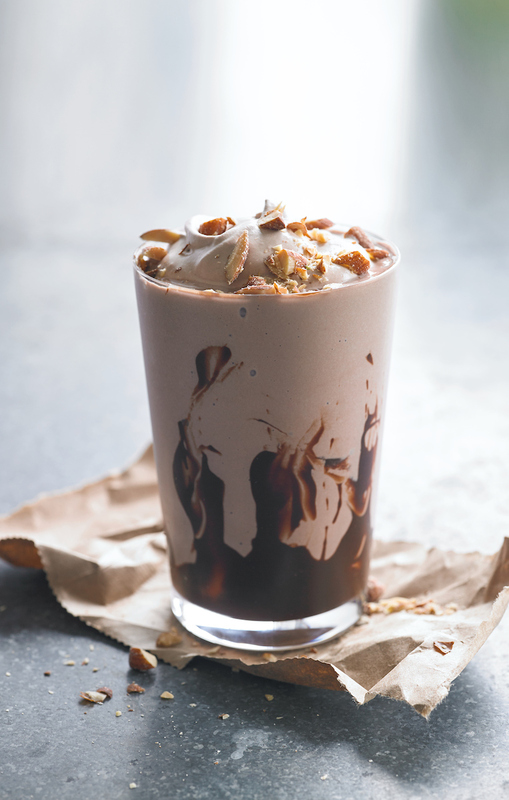 Combine chocolate milk, three scoops of ice cream and the remaining tablespoon of fudge topping in a blender. Add a pinch of salt (optional) and blend until smooth. Pour into the chilled glass. Top with the remaining scoop of ice cream and chocolate whipped cream. Sprinkle with the almonds and flaky salt (optional).